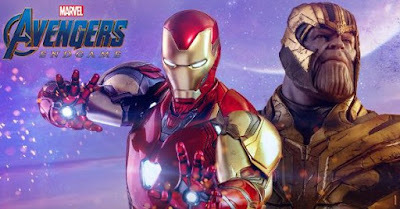 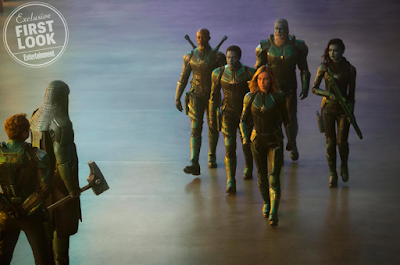 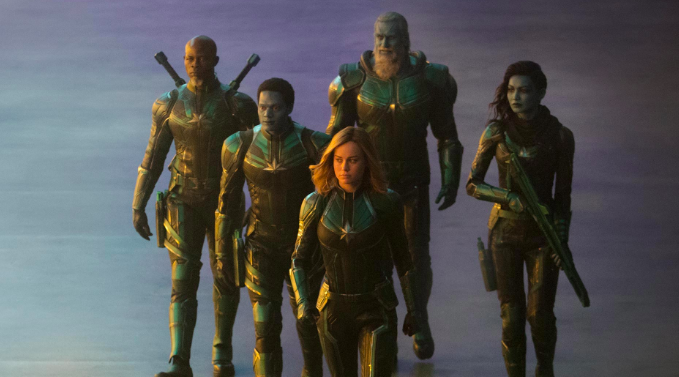 Here is actress Brie Larson as a member of the elite Kree military team called Starforce, alongside of Djimon Hounsou reprising his role from GUARDIANS OF THE GALAXY as Korath. 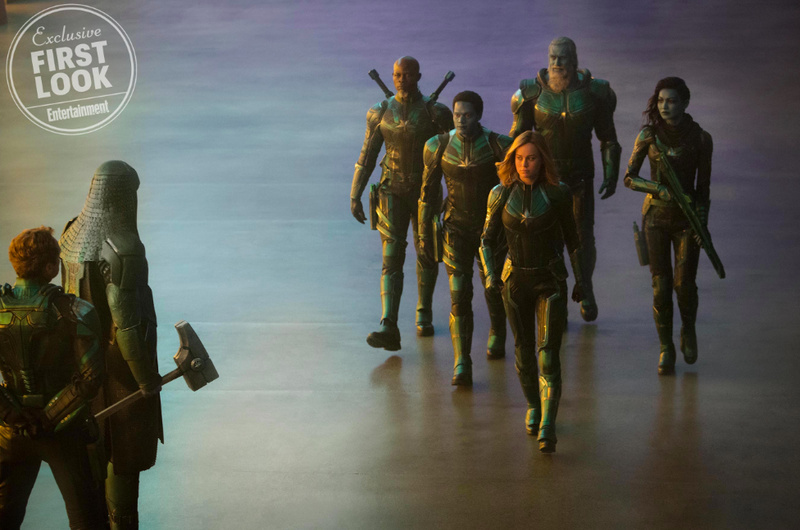 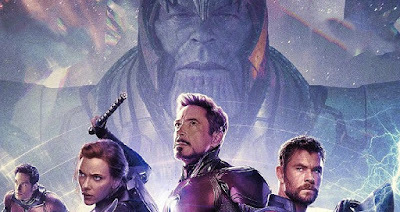 You can also see Jude Law as the Starforce commander off to the side with Lee Pace returning as Ronan the Accuser, also reprised from GUARDIANS OF THE GALAXY. 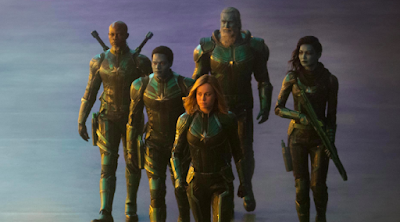 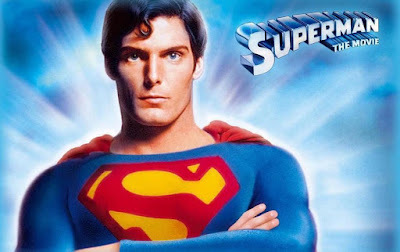 Law's character is rumored to be Mar-Vell from the comics, but not yet confirmed, apparently sees Danvers as a mentee. 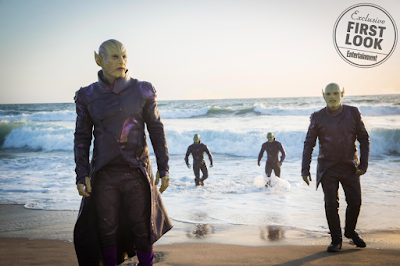 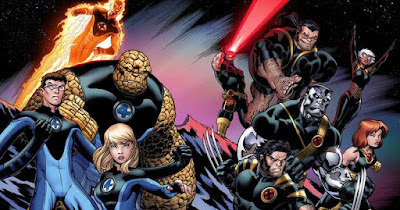 The Skrulls are coming to the Marvel Cinematic Universe as their leader, actor Ben Mendelsohn as Talos (on the left), commands a force who is trying to invade Earth. 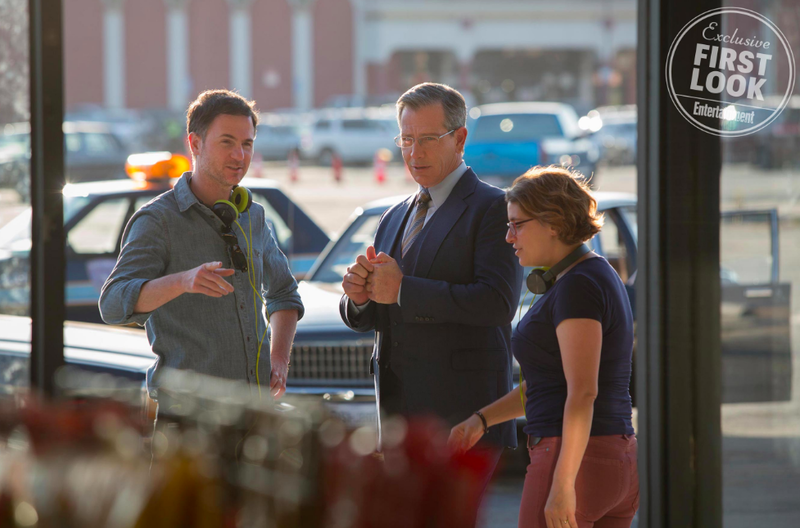 Here is Mendelsohn as Talos between takes, who has shape-shifted into a human appearance, as an undercover SHIELD agent with directors Anna Boden and Ryan Fleck. 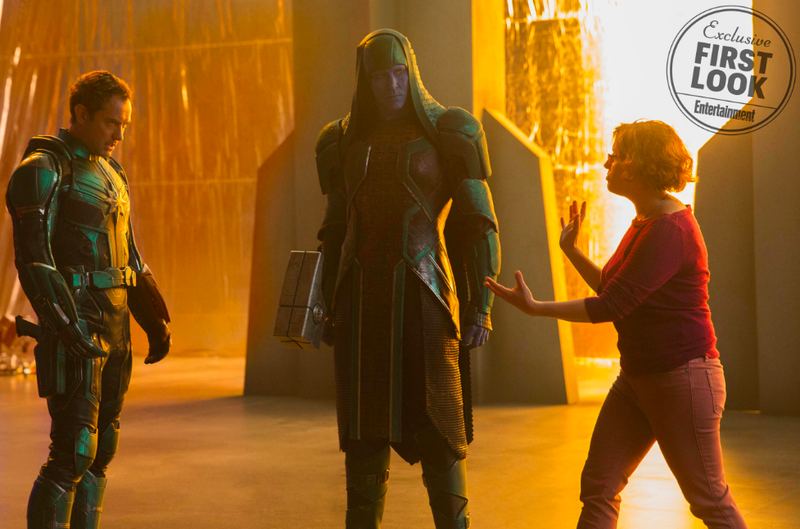 Ronan, here with Jude Law's character as well as co-director Boden, will be a high ranking member within the Kree society before going Kree extremist as seen in GUARDIANS OF THE GALAXY. 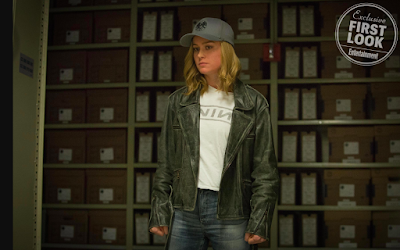 Danvers is a Nine Inch Nails fan! 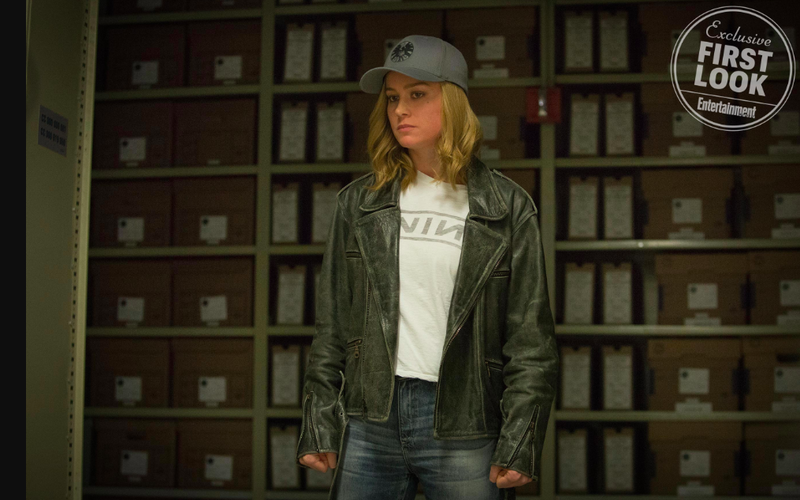 Yup... definitely in love with her now. 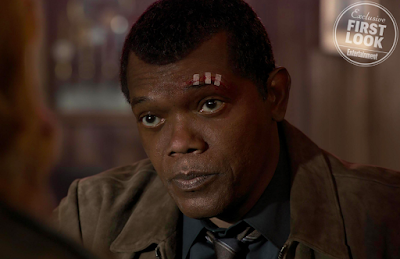 Jackson is a reported SHIELD desk jockey as Nick Fury had both eyes as well as Marvel Studios digitally de-aging the actor to fit within the 1990s timeframe of the movie. 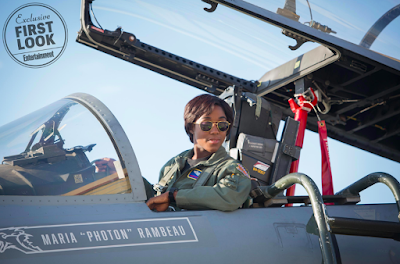 Danvers is a former Air Force pilot. 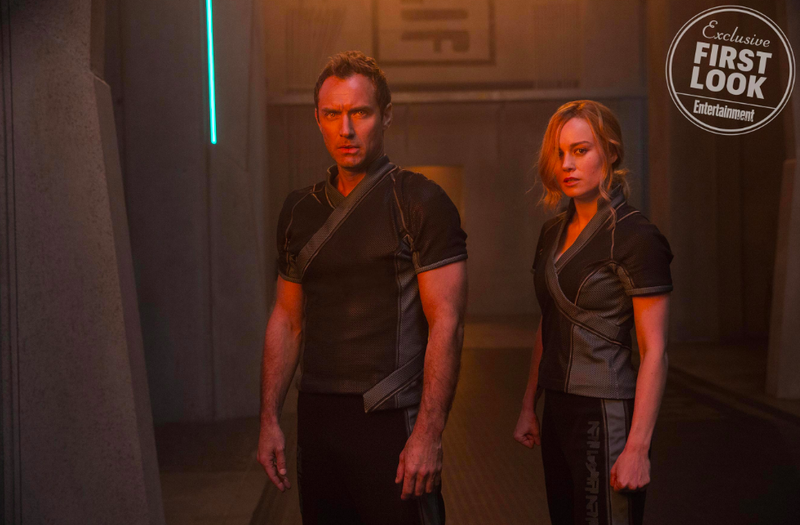 CAPTAIN MARVEL releases in the U.S. on March 8, 2019.